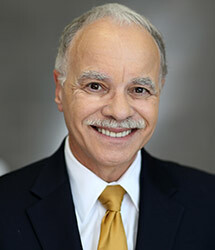 William A. Covino became the seventh President of California State University, Los Angeles, on September 1, 2013. Prior to this appointment, he served as Provost at California State University, Fresno. In addition to his leadership of Fresno State’s eight schools and colleges, he provided ongoing leadership for the Campaign for Fresno State, which has raised over $214 million. He has also served as Provost at California State University, Stanislaus; and as Dean of the College of Arts and Letters at Florida Atlantic University. His priorities and accomplishments have included building greater support for applied scholarly research, improving student learning outcomes, increasing fundraising and partnership opportunities, strengthening the University’s commitment to intellectual and cultural diversity, and encouraging community engagement across the curriculum. President Covino recently was named the recipient of AASCU’s 2013 William M. Plater Award for Leadership in Civic Engagement. He received a PhD in English in 1981, and his teaching and scholarship encompass the history and theory of rhetoric, persuasion, imagination, and literacy.